Sputnik was the very first man-made object to be sent into space. Though it was a truly epic accomplishment, all this Soviet sky surfer actually did was transmit a constant beeping noise back to the surface. 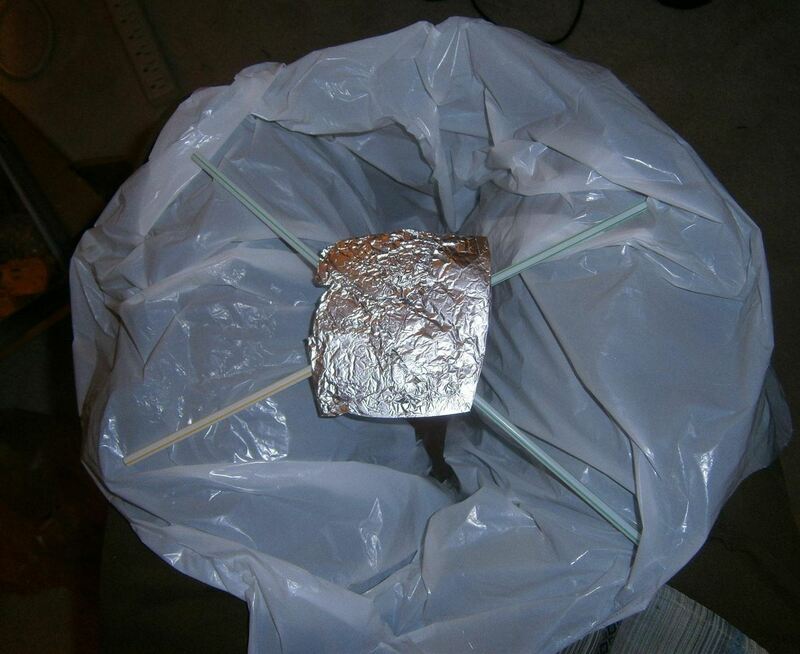 Your young students can learn about the history of space travel while building their own "Sputnik" ultra-low orbit balloon satellite. While it won't send a radio signal, it will be visible from a distance enabling us to track its movements. The scaffold will hold open the bottom of our bag while supporting the birthday candles. To make the scaffold, take your straws and cut off any bendy parts. Interlock them by cutting small slits in one end and pushing that end inside of the next straw. 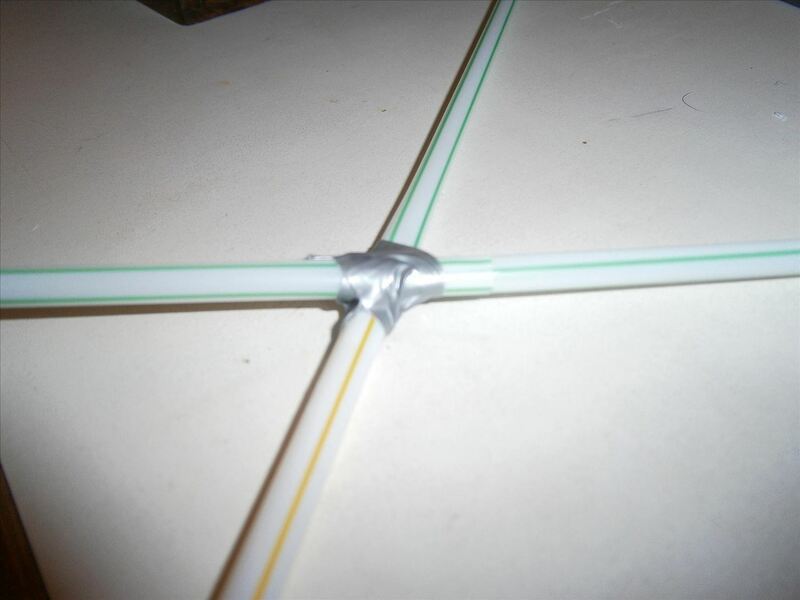 Make two multi-straw pieces and join them together in an "X" shape. Check to make sure your "X" will be large enough to hold open the bag opening. 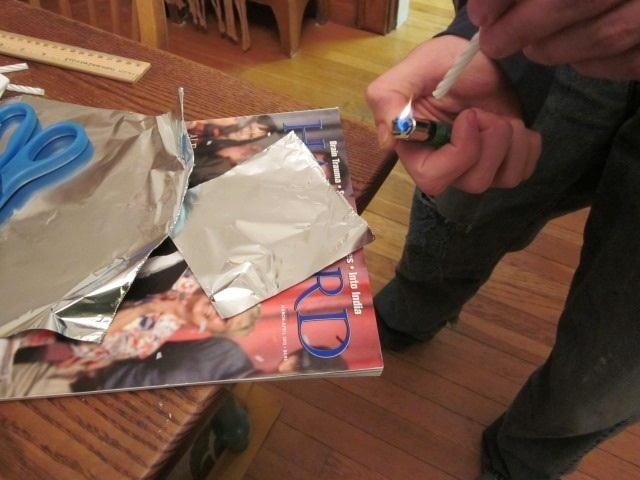 Cut a 4 inch square of aluminum foil. Take a candle and melt the bottom end with a lighter. Press the candle onto the foil so that it is held in place when it hardens. Repeat with all 4 candles keeping the placement at least an inch from the edge of the square. 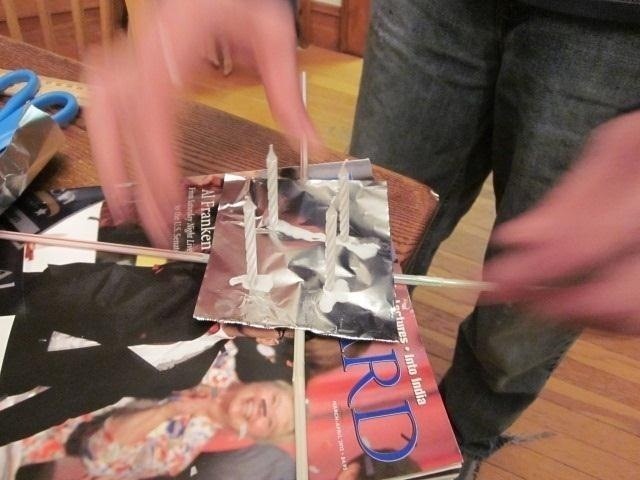 Tape the foil with the candles attached onto the scaffold. Be sure the candles are not positioned directly over any straws. We don't want the scaffold melting in mid flight! 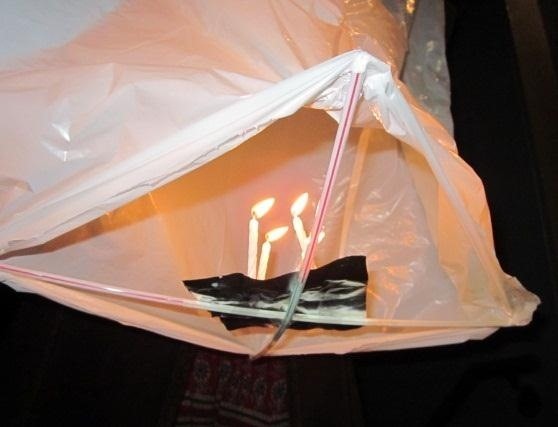 With the candles facing inwards towards the bag opening, tape each corner of the "X" to the lip of the trash bag. Your candles should now be positioned just inside the edge of your trash bag. It is helpful to have a partner hold the bag open while you tape the scaffold down. Tie the end of a thin string around the center of the scaffold. This will serve as an emergency break if your satellite is heading for anything particularly flammable. Nothing fancy going on here. Just be sure it doesn't get tangled. Time to launch your satellite! Outdoor launches are the most fun, but be warned—there is always the remote chance of starting a forest fire. Additionally, you can only launch outside when there is no wind. The satellite tumbles easily. Indoor launches are more consistent, but you don't get the fun of watching your satellite float off into the blue. If you are in a school, the gym is a fun place to launch. I could not get my balloon to launch because of wind and an over-weighted trash bag. Find the thinnest of the thinnest plastic bags for this project. 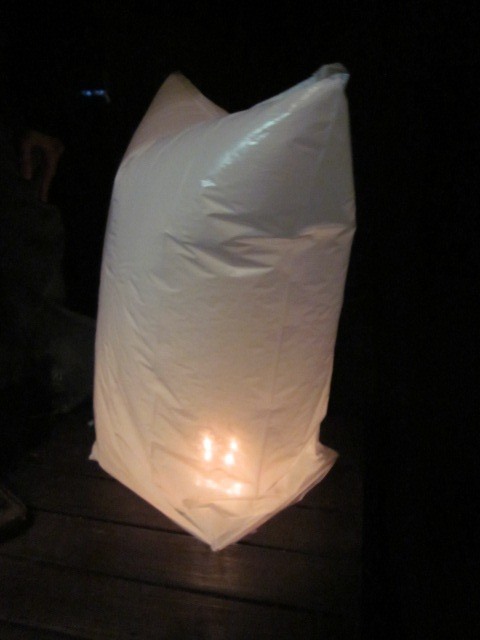 If you search for "sky lantern" on YouTube, you will find tons of awesome videos like this one. I think there are a thousand or so sky lanterns in this video! There is a lot of experimenting you can do with this project. Try out different sizes and materials of bags. Try different heat sources and different weights! Can you make a balloon powerful enough to lift a tiny radio transmitter? Let us know how your ultra low orbit Sputnik performs by posting your results and comments below. Join the conversation about fine-tuning your satellites in the forum. I remember making this thing few years ago but I use newspaper instead of plastic bag. Good time. is there a problem if your size of the plastic bag is small?